Today I bring you a Soviet classic that has been labeled as the first horror film to come out of Russia. This beautifully shot masterpiece is based on a folk tale written by Nikolai Gogol, the Ukrainian-born Russian writer known for his weird, fantastical stories. Viy is more a comedic fantasy than a true horror, but the last 30 minutes feature lots of witchy, demonic action that are definitely worth watching. Khoma, seminary student, and two of his friends end up in the country looking for a place to sleep. They happen upon an old lady’s farmhouse, but the baba is not quite what she seems. She grabs Khoma and flies off into the night, and he then figures out she’s a witch. After landing, he beats the snot out of her and before passing out she turns into a beautiful maiden. Later at the seminary, Khoma’s rector tells him he must spend three nights reading prayers over the dead body of a lord’s daughter, who was mysteriously beaten up one night. I really loved this movie, and it surprised me. My personal experience with Soviet “comedies” is that they’re pretty dry and sometimes intensely depressing and lacking in jokes. 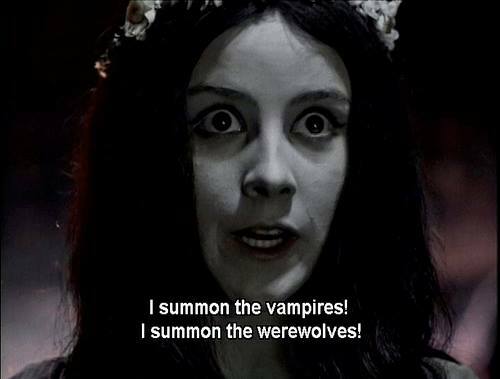 Viy was truly funny, and also bizarre. The animation and special effects in the final scene when all the demons are conjured…it’s a work of art. 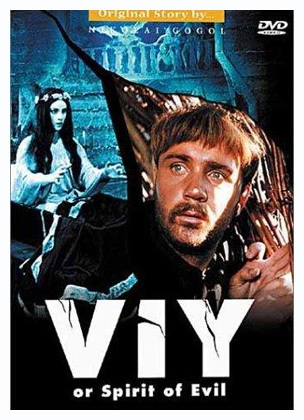 If you liked Army of Darkness, you may like Viy too. I know I’ll definitely re-watch it in the future. Here is a clip with the demons that I just mentioned. It’s only in Russian, but nothing too crucial is said. It’s all about the visuals. Below that you’ll find the full movie with English subtitles.